Self Contained Family Cottage at The Station House Motel produces 100% of its energy needs through solar energy. 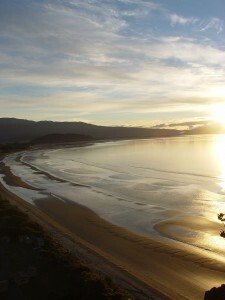 Why not enjoy staying in a motel in golden bay and know you’re not using any energy except solar energy. Free Wifi is unlimited and free for your entire stay and you may connect as many devices as you can think of. If you are after some of the best accommodation in Golden Bay then The Self Contained Family Cottage at The Station House Motel is a great choice. Apart from being fully self-contained, it has one queen bed and in the bedroom is two single beds. There is a full kitchen with hotplates, no oven, crockery, tea and coffee facilites, full size fridge/freezer, micowave, dining table, both indoor and outdoor, couch, TV and ensuite bathroom. Outside in the garden area there is a BBQ area, Trampoline, Sandpit and treehouse, also there is a deck with a macrocarpa table for you to enjoy the afternoon sun.